At the extreme south of Haute Vienne is St Yrieix la Perche, a town close to the Périgord Noir and Corrèze and at the gateway to the Périgord-Limousin Regional Nature Park. Located on the road Richard the Lion-Heart this ancient medieval city is charged with history. The “Pays of St Yrieix” combines exceptional places such as its collegiate church dating from the 12th century and many castles in the surrounding villages. Villages where, for example, old gold mines can be found, the oldest of which dates back to the Gallic period and were actively taken over in the course of the 19th century until 2002. In the 18th century, a true "white fever" ravaged the “Arédien territory” thanks to the kaolin (white clay used in the creation of porcelain). Thirty quarries are still exploited and their kaolin is used to manufacture the internationally known porcelain of Limoges whose stamp is a guarantee of incomparable quality. Its award-winning cattle market for the bovine breed and its renowned “cul noir” breeding and meat known to the gourmets are pillars of the Limousin economy. Gustatively we should not forget the madeleine "Bijou" of St Yrieix la Perche, an oval cupcake often chocolate coated arrived in 1845 which is a delight for young and old. The region is covered with apple trees, including the famous apple golden PDO labeled Pomme du Limousin 2005. The “Arédien territory” is located on the foothills of the Massif Central; the fields are undulating, tree and water are omnipresent and as you stroll along you can pick up chestnuts, mushrooms, apples, pears, plums and cherries. 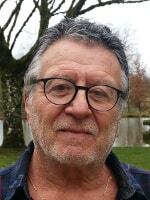 Native of Pays Arédien in Limousin and currently living there, I will help you to find your ideal house and settle down comfortably in your new environment. : 30 km south of Limoges, a lovely property with swimming pool and lake on 4380m² arboreted land. Beautiful house of 129 m² with swimming pool and lake of 1200 m² on 4380m² fenced land. Close . . .
Beautiful and comfortable house with living room, eat-in kitchen, three bedrooms, two bathrooms, two toilets, garage and land. 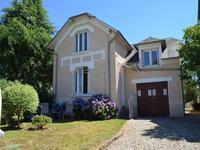 : At the entrance of the city to the south / east of Haute Vienne, a lot of charm for this . 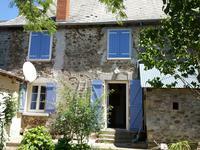 . .
2 bed small country house to renovate ideal for a peaceful holiday home. 2 small bed country house under renovation and surrounded by 6890m² of land is 30km south of . . .
A beautiful detached Village house to renovate of 70m ² with a convertible attic and a cellar of 20m ² on the level ground, a garage of 18m ² and land of 1462m ².
: At the entrance of a beautiful village south of Limousin in Corrèze, on the border of the . . .